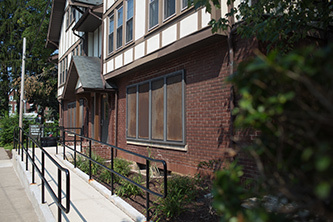 The Warren Square Complex, located on the west side of campus, is comprised of six houses. 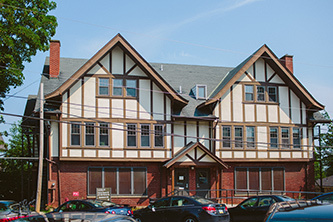 Warren Square E houses 23 students in single, double, and triple rooms. Rooms are furnished with a bed, desk, desk chair, dresser and a closet or wardrobe for each student. The house includes two multipurpose lounges, a game room, a study lounge, a kitchen and laundry facilities.